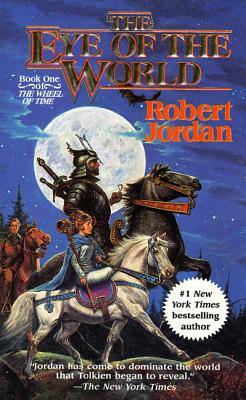 Robert Jordan was born in 1948 in Charleston, South Carolina. He taught himself to read when he was four with the incidental aid of a twelve-years-older brother, and was tackling Mark Twain and Jules Verne by five. He was a graduate of The Citadel, the Military College of South Carolina, with a degree in physics. He served two tours in Vietnam with the U.S. Army; among his decorations are the Distinguished Flying Cross with bronze oak leaf cluster, the Bronze Star with "V" and bronze oak leaf cluster, and two Vietnamese Gallantry Crosses with palm. A history buff, he also wrote dance and theater criticism and enjoyed the outdoor sports of hunting, fishing, and sailing, and the indoor sports of poker, chess, pool, and pipe collecting. Robert Jordan began writing in 1977 and went on to write The Wheel of Time®, one of the most important and best selling series in the history of fantasy publishing with over 14 million copies sold in North America, and countless more sold abroad. Robert Jordan died on September 16, 2007, after a courageous battle with the rare blood disease amyloidosis. “Classic oppositions are brought into play: initiates versus innocents, good versus evil, the spiritual power of women versus that of men. The travelers themselves are full of subtleties and shadows—ordinary villagers who, thrust into cosmic conflict, are unable to abandon their simple human desires and fears.